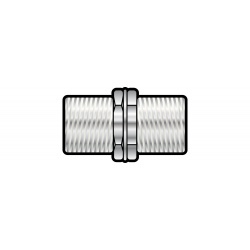 Back to back coupler to connect 2 coax plugs, finished in white plastic. Socket to socket. 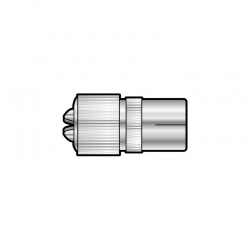 High quality nickel plated brass coaxial plug. 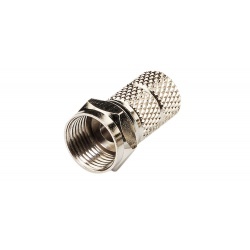 Twist on F-type plug for RG6 and 100 type (6.5mm to 7mm∅) cable. 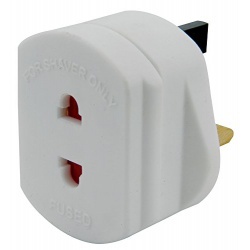 Mains adaptor to allow an electric shaver to be used from a UK mains outlet. 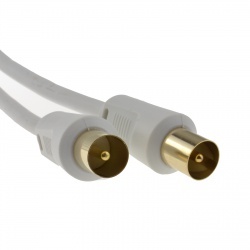 Coaxial plug to a Coaxial socket. 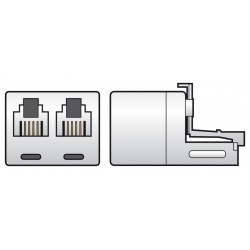 A splitter connecting 2 x RJ11 sockets to an RJ11 plug. 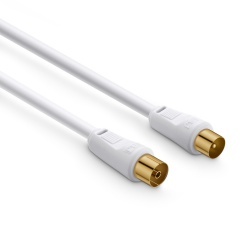 Ideal for telephone and data connections. 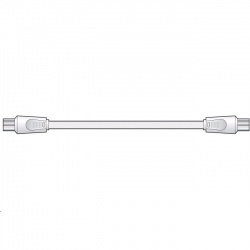 This Adaptor converts a single Telephone Socket into a Double Socket. It enables you to use two devices from only one Telephone Socket. Telephone and Broadband Modem/Router OR Telephone Answering Machine OR Fax Machine OR three Telephones. No Wiring Required, takes only minutes. 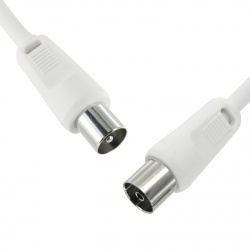 Insert Double Adaptor into Telephone Socket and insert plugs from any two devices into front of Double Adaptor. White in colour. Converts single to double socket. Work two phones to one socket. 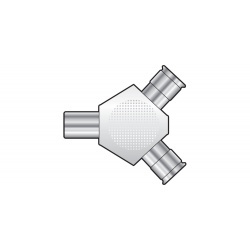 Coaxial plug to coaxial socket. 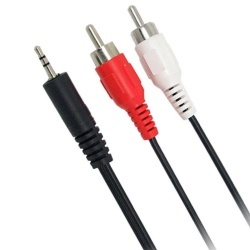 Black cable. 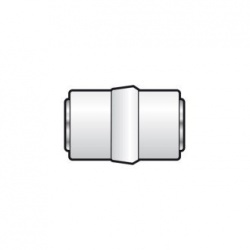 Altai T105B(ETV4) Co-axial Plug to Co-axial Socket 4m. 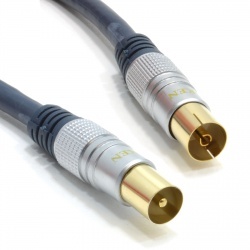 Altai T105B Co-axial Plug to Co-axial Socket 4 m.
The AV Link 106080 is a versatile 5m long cable 3.5mm Jack to RCA signal cable, commonly used as an AUX cable to connect your phone / tablet / media device to a loudspeaker, or PA system. Great for around the home, office, and for professional use.